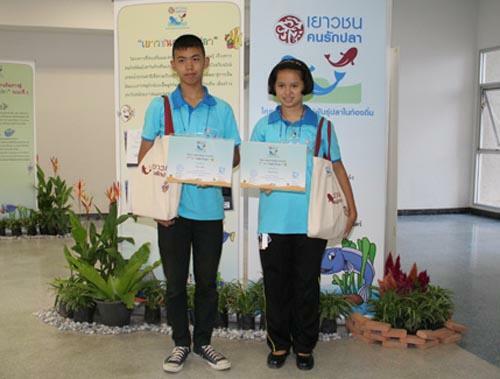 Mrs. Prapassorn Phongphanpisan, the deputy director general of Administration Bureau and Spokesman of Thailand Tobacco Monopoly, jointly presented the certificates to students from 20 schools located nearby the river who joined the Preservation of Local Fish Species Project under the theme ?? ?Children Love Fish ? ?� during May 20-22 2008, in which the Thailand Tobacco Monopoly has given a financial support of 9,951,000 baht to support the preservation of local fish species, at Faculty of Fisheries, Kasetsart University, May 22 2008.